I had someone leave a comment on my celery post asking about keeping leafy greens from going limp and soggy the other day and I thought the answer to that would make a great post to share with you! 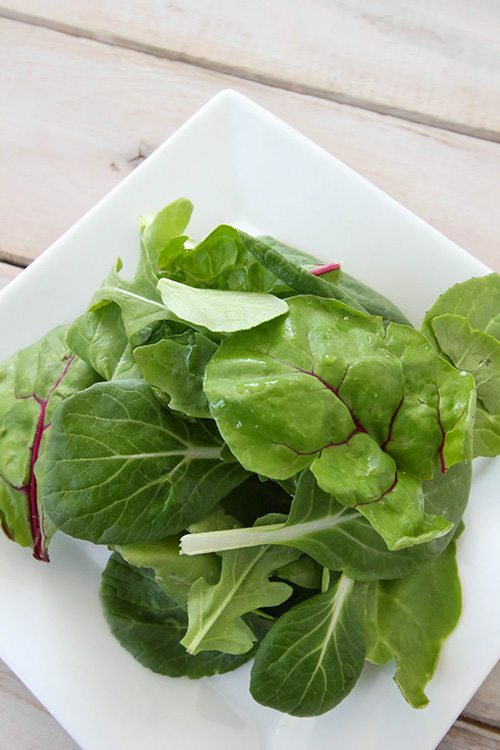 Leafy greens are something we always always have on hand here, so I’ve had quite a bit of experience in this area actually and I think I have a few useful things to say on this matter. So let’s talk greens! First of all, leafy greens are definitely one of the healthiest things that you can eat, so if the fact that they always go bad on you has left you feeling like they just aren’t a practical thing to have in the house, hopefully I’ll be able to help a little bit. I eat leafy greens in salads obviously, but I also love them on top of homemade soup, on toast, on pizza, and stuffed in any sandwich, wrap, or burrito that gets made in this house. I’m always trying to sneak in a few more greens! If you’re having trouble with keeping your greens crisp and fresh, here’s my number one trick. This one is such a difference maker, especially when the weather is really humid and it seems like the greens are already on their way downhill right from the time they leave the store. 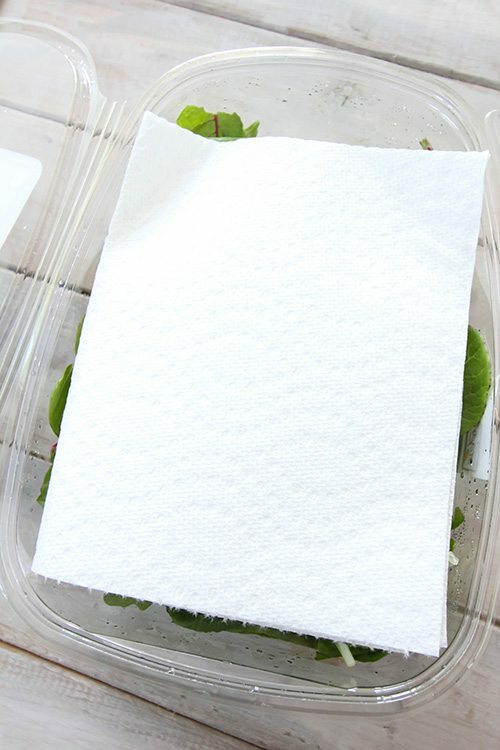 I just take about 2-3 sheets of paper towel, fold them up neatly, and tuck them inside the container. That’s it! The paper towels absorb the extra moisture in the package and this makes all the difference! You definitely get a few extra days of green goodness out of this trick! -If you’re at a time of year where you’re really having trouble with getting your greens to last, try sticking to the blends of greens that are a little hardier and sturdier. So not the really tender little baby lettuces. Mixes with things like arugula, baby spinach, and baby kale always last a bit longer than the really delicate stuff. 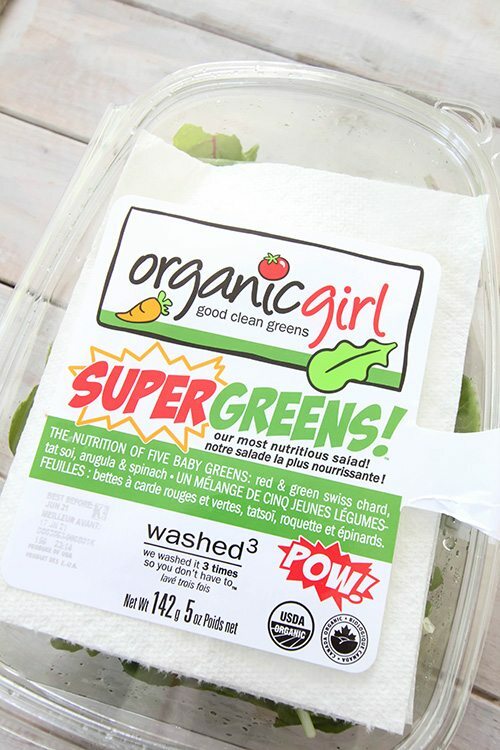 -Look for the pre-packs of greens rather than the unpackaged bundles. Of course I’d rather go with less packaging, but especially at this time of year, the unpackaged greens that sit out and get soaked with water from the produce sprayers constantly always seem to look a little worse for wear and definitely on the soggy/wilty side. The packages may be a little more expensive, but I find I get a lot more usable lettuce out of them, so it all works out in the end. -If you can, grow your own greens! I never have trouble with the greens from my garden going prematurely soggy, even if I harvest them and keep them in the fridge for a week. 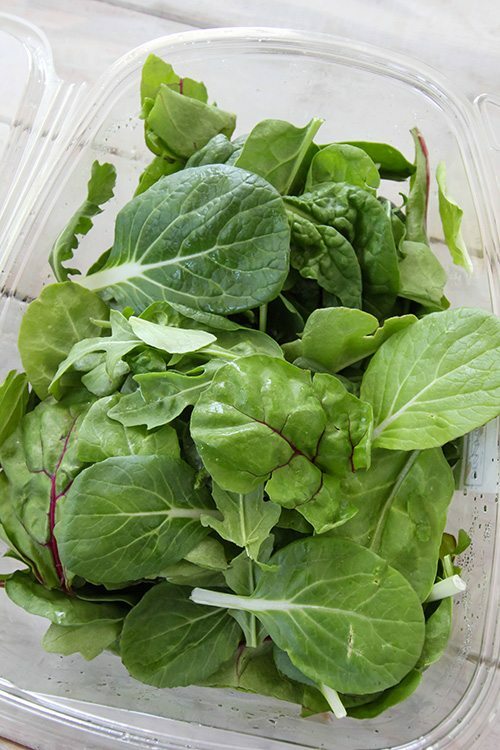 Harvesting your own greens gives you such an advantage because you get your hands on them right away, rather than having them have to travel for such a long time before you ever even get them in your fridge. Greens are so easy to grow in a pot on a balcony. If you have three or so pots and plant each pot a week apart, then you’ll be able to keep rotating the pots that you’re eating from and re-planting over and over again. Since greens do well even in cooler temperatures, you can grow your own for most of the year in a lot of places! 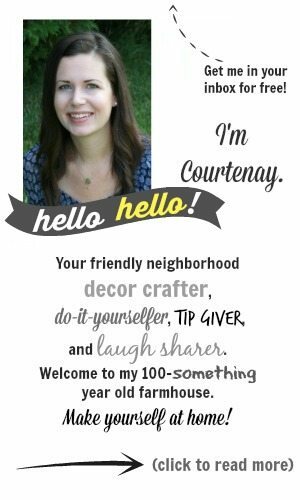 So those are my thoughts on keeping leafy greens fresh! Do you have a trick that you use that works really well for this? Make sure to pin this one so you can remember it for when you need it! I am never able to pin from your site. Any ideas? Hi Lene! It looks like my pinning buttons and my other share button for regular desktop had stopped working. I just added in some new buttons at the top and bottom of every page, so that should allow you to pin. Thanks for letting me know! I place my greens in a Mason jar and use my Food Saver jar sealer to pull out all the air. Will keep in fridge for several weeks. If you let the water dry off of them, wrap the greens in a dry paper towel n put in a sealed baggie. I’ve kept cilantro up to two weeks this way. Can you give us some advice on how to grow our own greens? I had a square foot garden outdoors that I was hoping to use to keep us in greens but never had much success : ( Do you start your plants from seed? What method do you use? Thanks and I love your site.